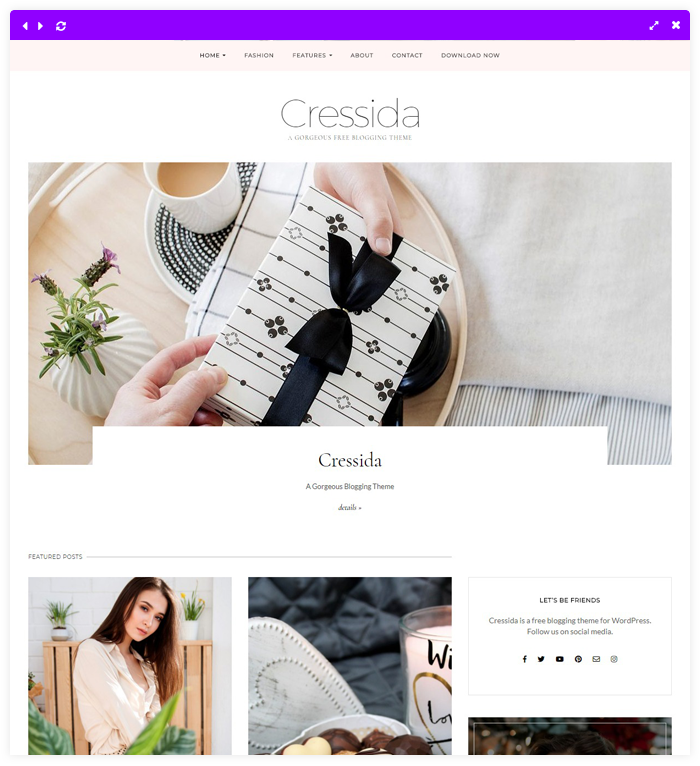 Cressida is a gorgeous, elegant, and featured packed free theme for WordPress. 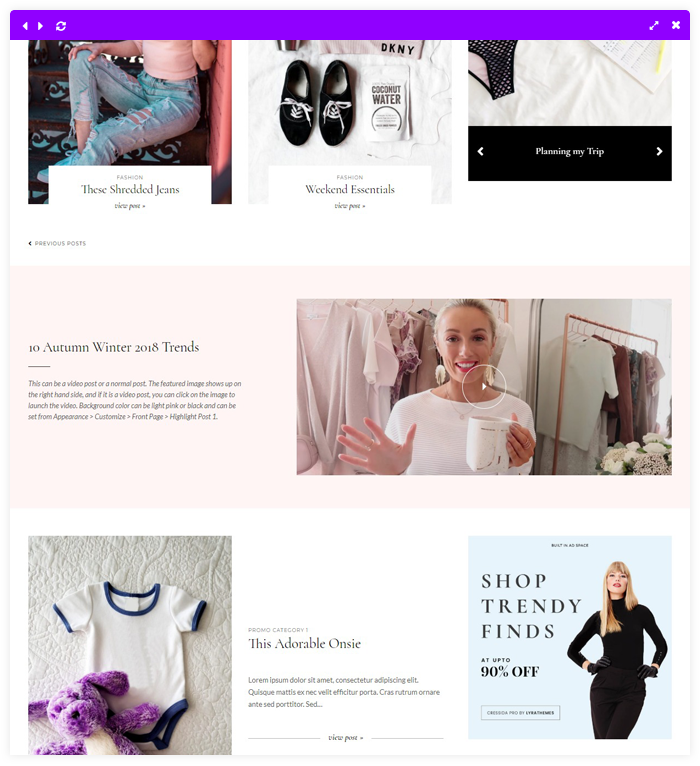 The front page has multiple sections to highlight different content, different options for the banner and slider, and beautiful typography. 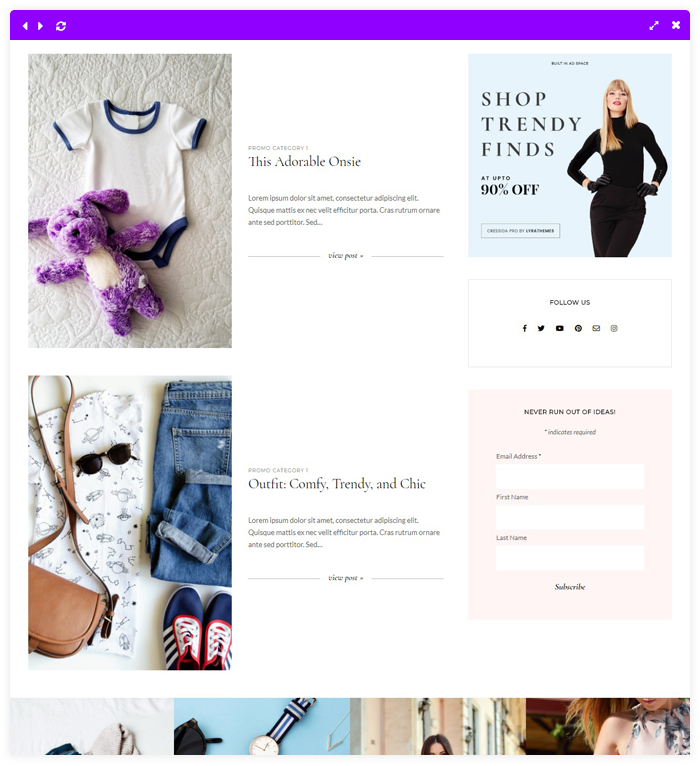 It takes minutes to set up, its easy to use settings and customization options giving you full control over your blog. 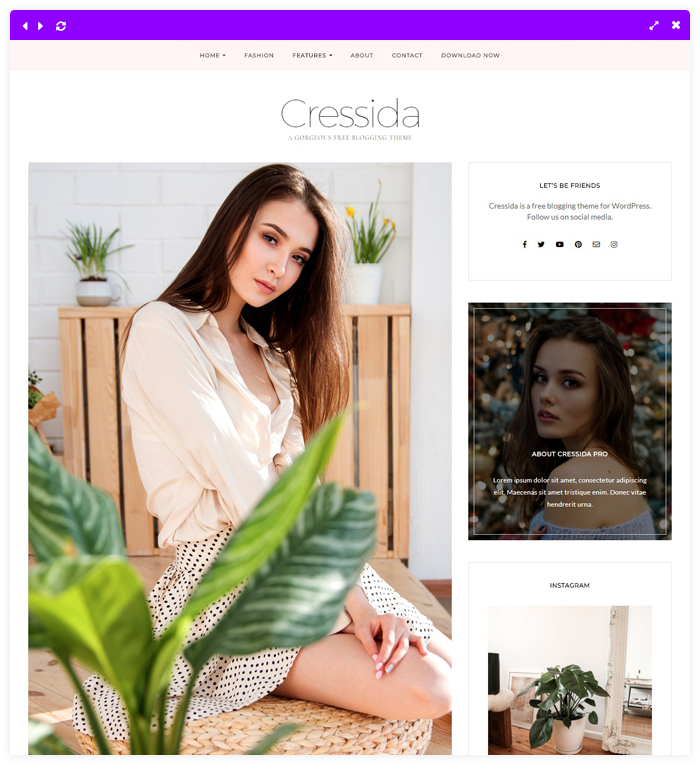 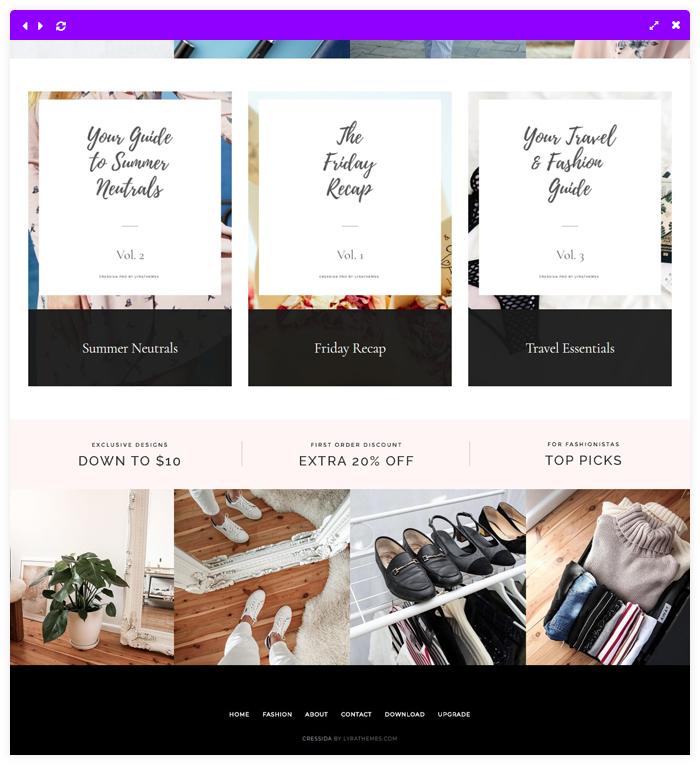 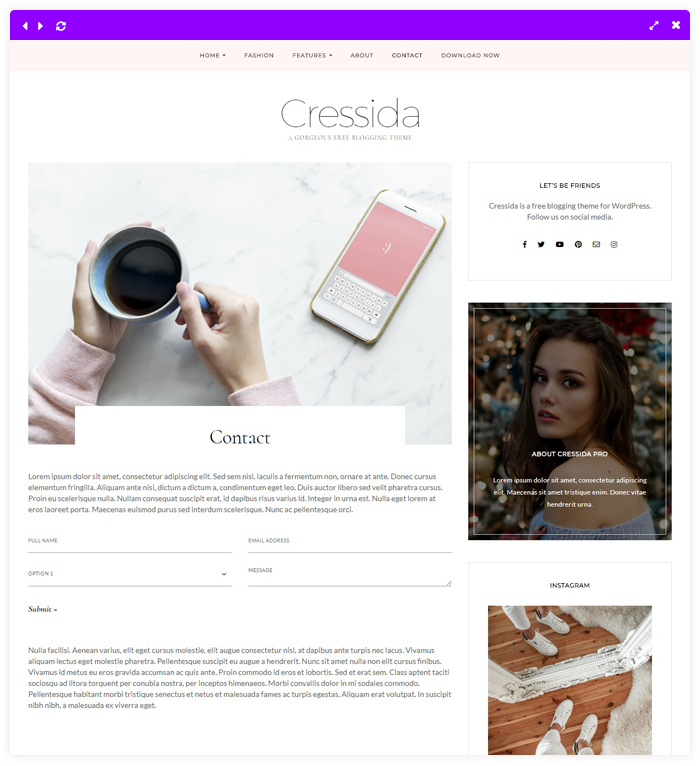 While it is perfect for all types of blogs, Cressida is specifically designed for lifestyle, fashion, personal, and food blogs. 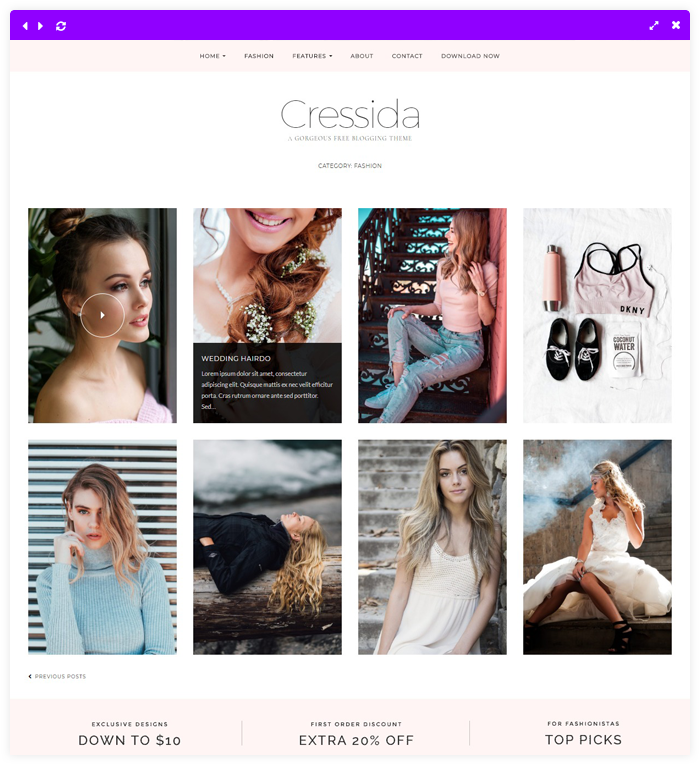 Upgrade to Cressida Pro for these awesome features! 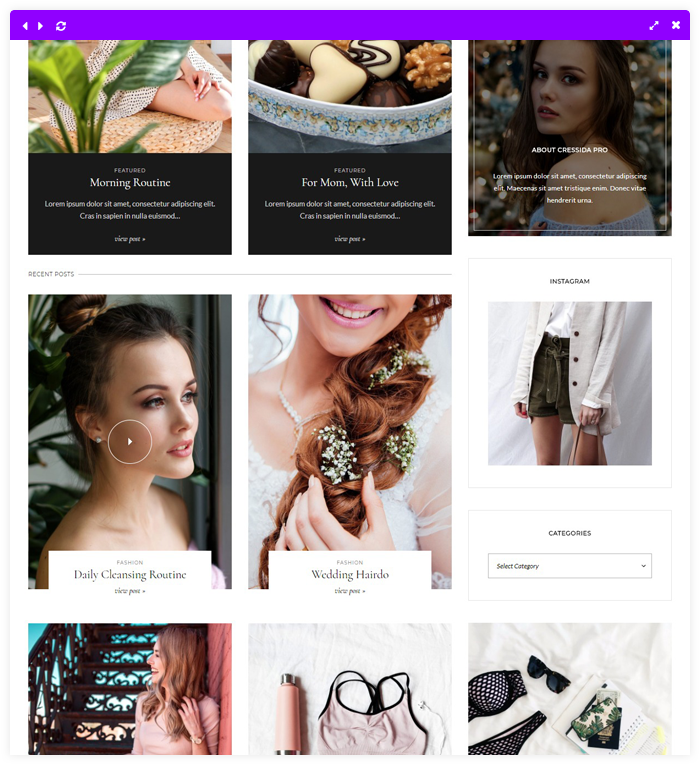 The pro version comes with tons of useful extra features and functionality, along with regular maintenance and updates to the theme. 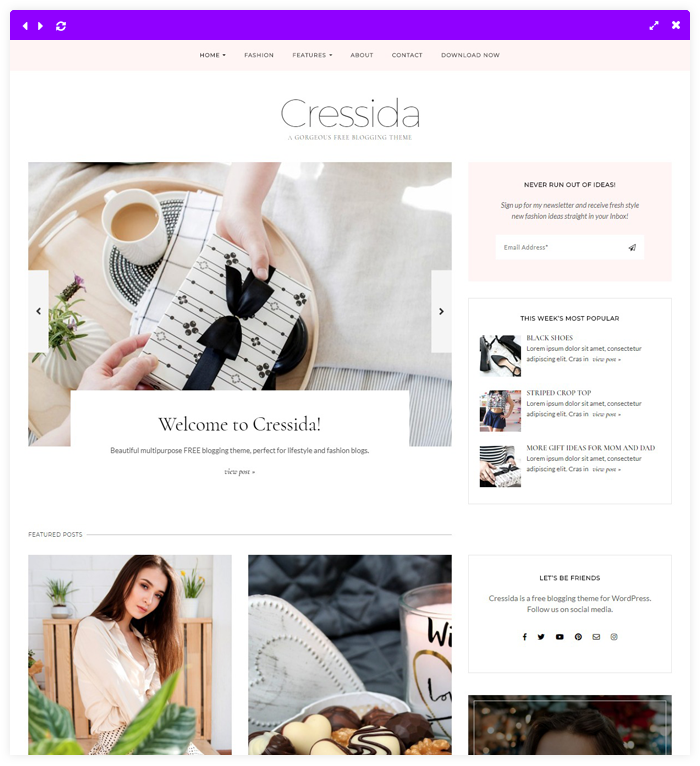 It also gets you access to our super friendly support staff, who are all WordPress experts ready to help you get your website up and running. 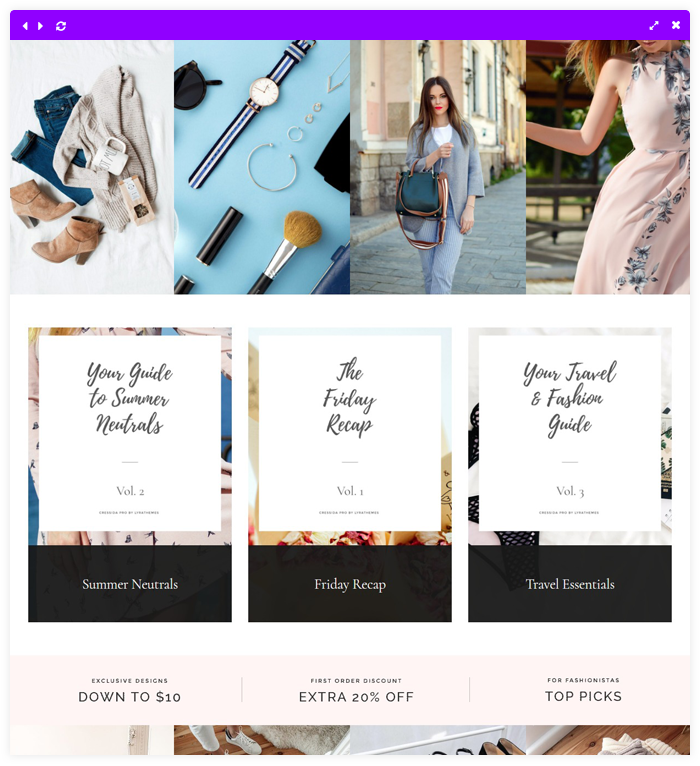 We take pride in our swift customer support and commitment to provide an awesome product, so join us and we'll help you make something great!